ISS042-S-001 (April 2013)— The rectangular-shaped design portrays the International Space Station orbiting planet Earth with its solar array wings spread wide. Facing the sun with the lower left outboard solar array feathered, the left array portrays a prominent number “4” and the fully deployed arrays on the right form the Roman numeral version of “2,” which signifies the two increment crews which, together, comprise the six-member international Expedition “42” crew. The crew and all supporting personnel around the world are also represented by the six stars adorning the sky around the complex. Soyuz TMA-14M Commander Alexander Samokutyaev and Flight Engineer Elena Serova are counting to their departure March 11 with Expedition 42 Commander Barry Wilmore. The two cosmonauts trained on Soyuz descent procedures and checked out emergency communications gear. Wilmore also prepared for his departure and began packing gear for the return home. Meanwhile, One-Year crew members NASA astronaut Scott Kelly and cosmonaut Mikhail Kornienko are in Star City, Russia, getting ready for final qualification exams in the Soyuz trainer. They are at the Gagarin Cosmonaut Training Center preparing for their launch aboard a Soyuz TMA-16M spacecraft March 27 from the Baikonur Cosmodrome. 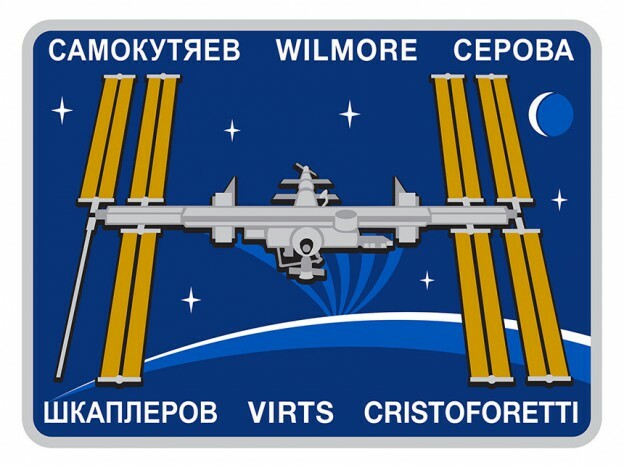 The veteran space duo will take a six-hour, four-orbit ride to the International Space Station where they will live and work until March 2016. 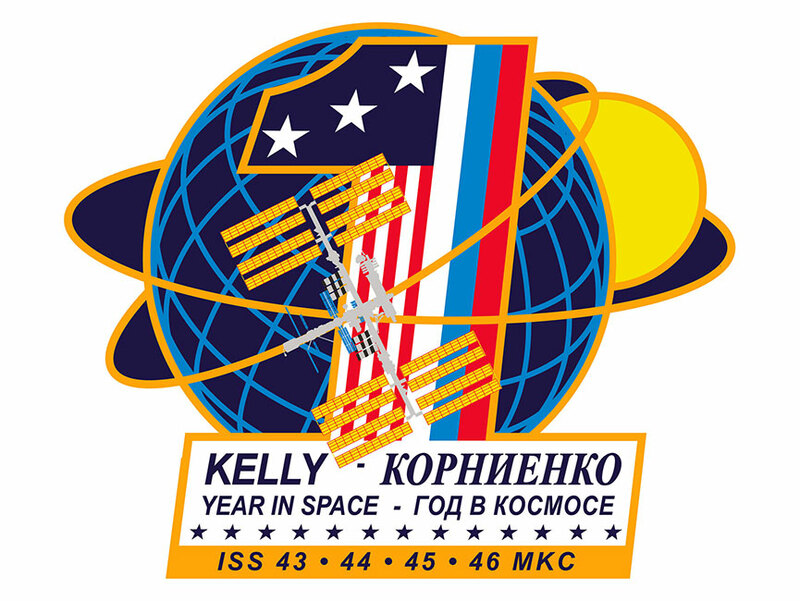 JSC2014-E-077266 (July 2014) — This patch represents the historic one-year expedition to the International Space Station, spanning Increments 43 through 46. The ISS, an orbiting laboratory above the Earth, provides a unique environment in which to study the effects of long-duration spaceflight on the human body. This one-year mission will pave the way for future pursuits in space exploration of humankind on longer journeys to farther destinations. Will Padalka return to Earth alone on Soyuz? If 2 crew will stay 1 year, how will third crewman come home at 6 mo.? Does ground crew operate all re-entry systems? Pilot just riding ship? Gennady Padalka returns to Earth Sept. 11 on another Soyuz. He will return with Andreas Mogensen (Visiting Soyuz Flight Engineer) and Sarah Brightman (Spaceflight Participant).